Hollywood is more about restaurants than marquees. Most wannabe actors make their jing slinging hash and waiting tables, not emoting before the cameras. Acting gigs are scarce and the competition is fierce. And then there’s the matter of who you know. As buddy Sam (voice of Brad Gage) says in a call to aspiring thespian Zander (Matt Fowler), it’s never good to be deadlisted. Er, make that “blacklisted,” corrects Zander. Consider it a Freudian slip, as we learn in Dead List, a new offering from High Octane Pictures available via VOD now and on DVD this July. This slow to develop yet interesting flick looks at six actors seeking work on a new Martin Scorsese film and the depths to which they’ll sink in landing that role. Let’s begin with down-on-his-luck Cal (Deane Sullivan), perhaps the most desperate of all his acting pals — the aforementioned Zander, Scott (Nick Franchik, aka Nick Bandera), Jason (Eric Pierce), Kush (Rob Healy) and Bob (Josh Eichenbaum). They’re all seeking the same role, and each has a different level of confidence. But Cal knows his audition was a flop. While licking his wounds, a supernatural book literally drops from the sky and into his life. His pal Trevor (Jan-David Soutar) sees the book as Cal’s “salvation.” Cal is a skeptic, but they perform a ritual nonetheless. The consequences, of course, are horrific. Constructed as a five-part anthology, with Cal’s story as the connective centerpiece, we witness the gruesomely inventive demise of his competition. Each story falls under the heading of the character names, with Zander the first to go. The Z-man is in his car when the radio blurts out a police bulletin about an armed black man on the run. Zander is white, but when he looks in the rearview mirror, he sees himself as black. He looks at his hands — black. His face again — black. He’s freaking out when the inevitable police lights appear. He’s ordered out of the car. You hear a cop yell, “He’s got a gun.” Then, shots ring out. It’s a clever, topical allegory on racism and the perfect start to what’s to come. Scott is next. He’s at home when he discovers a symbol burned into his shoulder, identical to the one on the cover of Cal’s mysterious book (and eventually evident on each victim). Then his hearing begins to fail. Perplexed initially, it begins to drive him insane. He finds a power drill and … well, you can imagine what comes next. Jason’s turn. He and foul-mouthed buddy Karl (Holden Andrews) are driving when they run into a shadowy, ultra-creepy woman (Susan Stangl) walking in the middle of the road. Seemingly disoriented, they take her home where her true identity is soon revealed. She’s a witch who lets her fingernails do the dirty work. Then comes stoner, surfer dude Kush. Let’s just say he runs afoul of a sea creature whose corrosive personality provides the movie with its most delectably deleterious demise. The gore here is first-rate as we watch Kush turn to slush. Finally, there’s Bob. And there’s no mistaking the filmmakers saved the best for last. Bob is an overconfident actor whose drug habits landed him in rehab, but whose taste for cocaine is strong as ever. 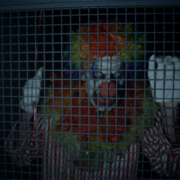 When not acting, he dresses up as a clown and entertains children. Tonight, fueled by a few lines of the white stuff, he’s smeared greasepaint all over his face and resembles Batman nemesis the Joker. But there’s no joke about where this is headed. 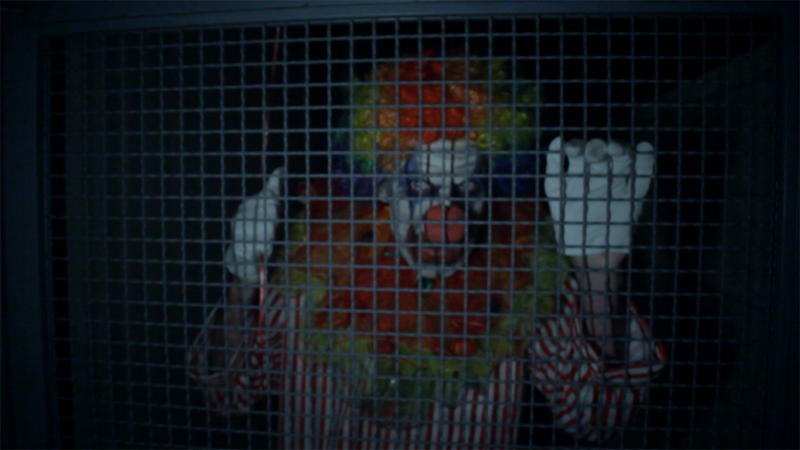 He soon spots another clown, quite malicious, with one of those red balloons right out of Stephen King’s It. All of this leads to a satisfying close that appropriately echoes Trevor’s summation. Three directors — Victor Mathieu, Ivan Asen and Andrews (who pulled double duty as Karl) — oversaw this production. 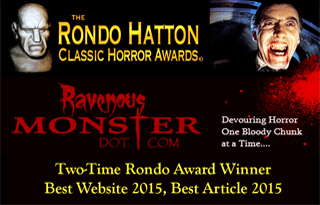 While there are some loose ends and convoluted plot points along the way, each managed to incrementally up the tension so that horror fans get more meat than gristle. 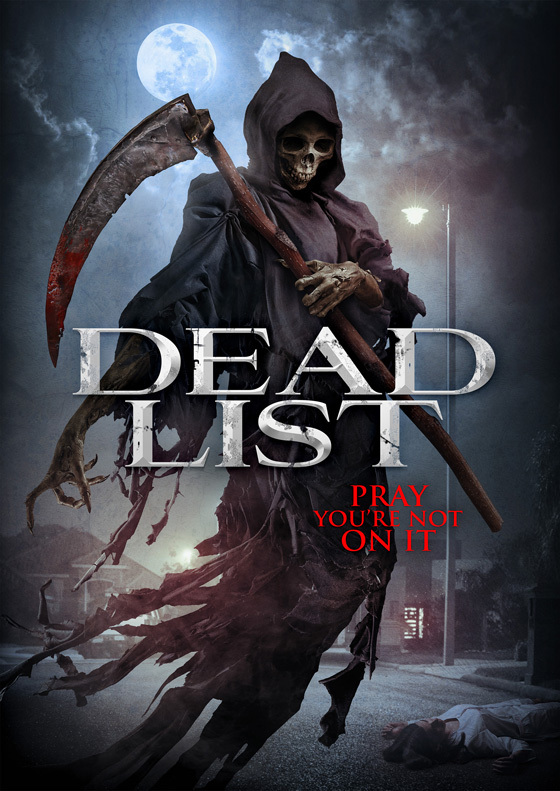 The budget is fueled more by ambition than dollars, but there are some wonderful effects in Dead List, and the atmosphere is creepy throughout, but with just enough humor to keep the dialogue pithy and engaging. The musical score helps set the tone. The acting, while uneven at times, is bolstered by Eichenbaum’s go-for-broke enthusiasm. His is the home run in a spate of singles and doubles. The bottom line? Dead List is alive and well, painting a portrait of dog-eat-dog Hollywood that is occasionally fun, at times frothy, and almost always creatively frightening.